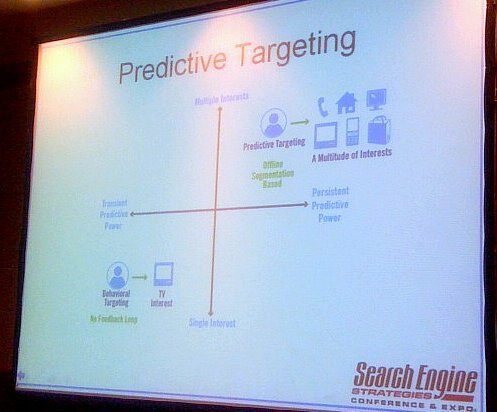 We’re back at the Online Marketing Summit track that expands beyond search and ties it into e-mail, display, or in this case, behavioral targeting and analytics. Aaron asks the audience what they’re looking to walk away from this session with. Understanding who our audience is and what their behavior is before they get to the site. Ingrid will present first. She’s going to talk about third-party data in the online ad landscape and how to use data to drive enhanced performance and conversions, specifically through display media. This same data can be leveraged for optimization of other online marketing channels. The reason she’s in the data space is because she recognized early enough that online data was going to drive marketing going forward. Why the buzz about data? Technology is driving new opportunities: We’ve reached the point where third-party data can be implemented for good reasons. “Old” media buying model: Advertisers used to use the publisher’s content as a proxy for identifying the right audience to reach. Now advertisers have a more sophisticated understanding of what the ad is worth to them. How the model is changing: It may make sense to look at other channels to reach the same objectives. This data tends to be much more stable because you’re looking at multiple views of a consumer and can have more confidence that what you’re doing to reach that user works. Where to access third-party data depends on the level of sophistication internally for display media buying. It’s available through publishers, ad networks, demand side platforms and optimizers. She highly recommends AdExchanger.com for more on the changes taking place in the industry. Thomas is our next presenter. Why B2B? That’s where the money is! As online revenues continue to grow, B2B ad spend on social media and lead generation sites is also forecast to grew at an annualized rate of 21 percent and 17 percent, respectively, to 2013. Advertiser engages in separate, lengthy negotiations with individual lead gen sources, i.e. individual publisher sites, ad networks, etc. How do we solve the problems with b2b lead gen? [x + 1] is a platform that lets you optimize the whole digital touch point. CPA providers bombarded the remarketing pool, gaining credit for last view. Remarketing pool shrank, sales flattened at a higher overall cost. 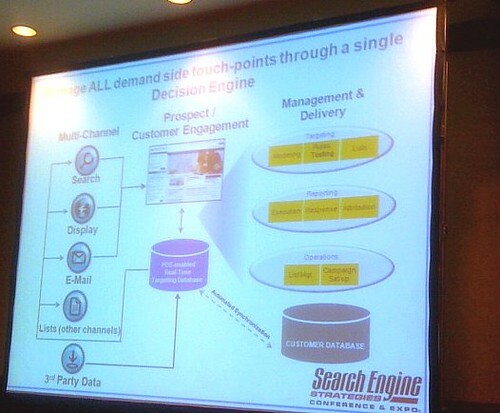 Rewarded trial drivers and reach providers and eliminated remarketing for all but one partner. 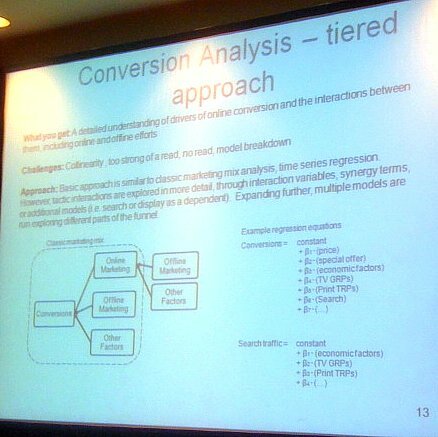 Asses the relative attribution credit of conversions by site. Assess the effectiveness of the site to generate conversions on a weighted basis. 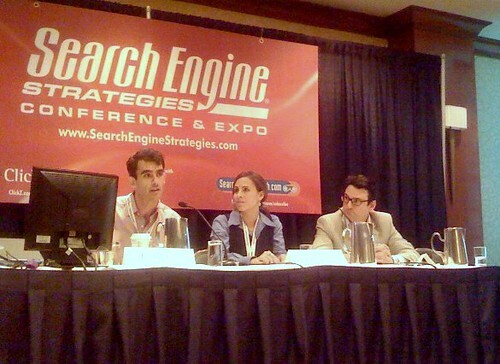 Case Study: Over attribution to search. The client search team claimed almost all the conversions on the site – 16 percent. Statistical analysis found that 38 percent of those would have occurred anyway and 15 percent of the rest were due to synergy with offline channels.